Resource center Marijuana Rehab Can Marijuana Be Abused? One of the pervasive myths about marijuana is that it is a “safe” recreational drug. Proponents of marijuana, particularly for medical use, claim that it is less harmful than alcohol. Some even go so far as to say that it can’t be abused like other drugs because it is a natural substance. This is not a good argument; many addictive substances, including alcohol, are naturally derived and can still be abused and result in severe consequences. Marijuana can be abused. 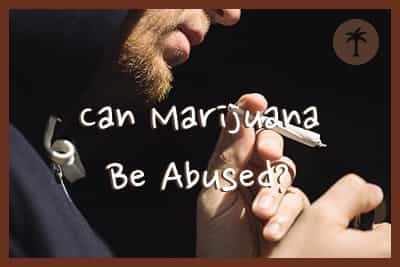 Understanding more about abuse and addiction, and how they apply to marijuana, can help individuals make better decisions and help people struggling with marijuana abuse or addiction to find help. Marijuana is made from the leaves of a certain type of plant called Cannabis sativa. As explained by Live Science, it appears to be one of the oldest cultivated plants in human history with evidence of human tending as early as 12,000 years ago. The plant and its relative hemp have been used throughout much of human history both for practical and recreational purposes. The US government restricts the use of marijuana as an illicit drug; however, some states have passed laws making it legal to sell marijuana for medical treatment, recreational use, or both. Nevertheless, the federal government considers all possession and use of marijuana to be illegal despite the states’ decisions. Drug abuse occurs either when an illicit drug is used for any reason or a legal drug or medication is used either off-label or in illicit ways for self-treatment of conditions not covered by the prescription. When marijuana use occurs on a regular basis and at high doses, it is possible for this abuse to lead to addiction. While those who use or sell marijuana might claim it is safe and doesn’t require abstinence, research and experience prove otherwise. Further information from the National Institute on Drug Abuse indicates that it is possible to become addicted to marijuana. While many fans of the drug talk about how safe it is, the fact is that people can develop psychological tolerance, dependence, and addiction after long-term, regular, high-dose marijuana use. Any of these conditions could be construed as a substance use disorder, a mental health condition that causes individuals to lose control of how much marijuana is used or how often it is used. Marijuana is the most used illicit drug in the US. In fact, survey information from the National Institute of Alcohol Abuse and Alcoholism indicates that marijuana use doubled between 2001-2002 and 2012-2013. Individuals who use marijuana come from all walks of life and range in age from teenagers to elderly adults. That said, there is a subset of individuals who are more likely to abuse marijuana: those who are seeking recreational drug use to get high (especially now in states where recreational use has been legalized) and, as emphasized in a story from Healthline, those who have legal access to marijuana for medical use. There are some negative and detrimental sensations as well, such as loss of coordination and slowed thinking that can lead people to risky behaviors, such as driving while under the influence of the drug, putting themselves and others at risk. Only eight states have legalized marijuana use for recreational purposes. Otherwise, marijuana use is still illegal and considered to be drug abuse. Even in states where it is legal, recreational use can easily become abuse and lead to addiction. The National Institute on Drug Abuse has summarized the growing interest in medical marijuana. In fact, there are currently two scientifically developed medications based on marijuana extracts – dronabinol and nabilone, which are used to treat nausea and increase appetite in people with AIDS. 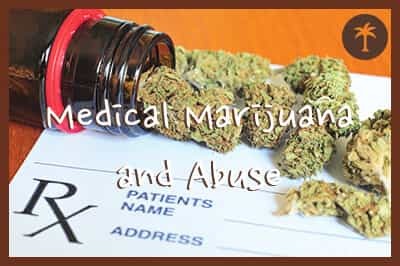 Nevertheless, as with many prescription medications, using marijuana for medical purposes can also lead to abuse of the drug. When marijuana is used chronically, the individual can begin to develop tolerance; the body becomes used to the drug, making the effects feel less potent than at first. When this happens, the person may start using larger amounts of the drug to compensate. In addition, some people may begin using the drug to treat other conditions, such as insomnia or stress. When these situations occur, the individual can cross the line from use to abuse. According to the NIAAA study, published in JAMA Psychiatry in 2016, 9.5 percent of people use marijuana (more than double the prevalence in 2002, which was 4.1 percent). In contrast, 2.9 percent of people have a marijuana use disorder. However, the National Survey on Drug Use and Health indicates that this increase has not affected teenagers; people between 12 and 17 years of age have not seen a significant increase in marijuana use. Far from the beliefs that marijuana is safe or that it is not addictive, the study also indicates that more than 30 percent of people who use marijuana are diagnosed with marijuana use disorders, including addiction. The more signs present, the more likely it is that the individual is struggling with a marijuana use disorder. Death due to overdose of marijuana has never been proven, despite a report in 2017 from CPC Emergency Medicine that an 11-month-old baby died of a seizure after cannabis exposure. Nevertheless, it is possible to have medical emergencies based on marijuana use. In 2011, more than 450,000 people had drug-related emergency room visits in which marijuana was mentioned. Marijuana use is more likely to be problematic when combined with other drugs or substances. Often, people use marijuana with alcohol, cocaine, or other drugs in order to enhance the sensations. When this happens, the person’s body can have an adverse response resulting in health and safety risks. Marijuana abuse is a serious matter even with the push for making it legal. 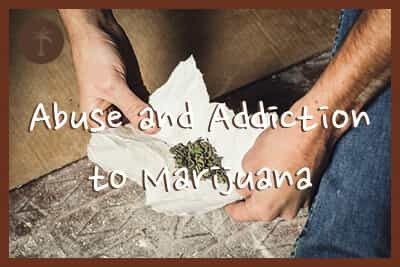 Those who abuse or become addicted to marijuana can have serious consequences in their lives, including job loss, relationship issues, and health problems. 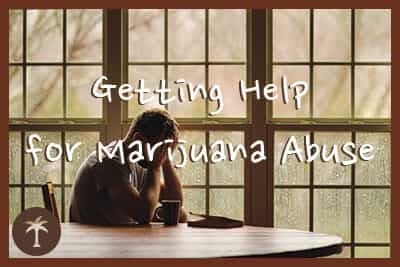 For that reason, it is important for those struggling with marijuana abuse to get help from a respectable, reputable treatment program that is research-based. With detox and treatment therapies designed to help the person stop using marijuana, the risks of addiction or abuse can be minimized.